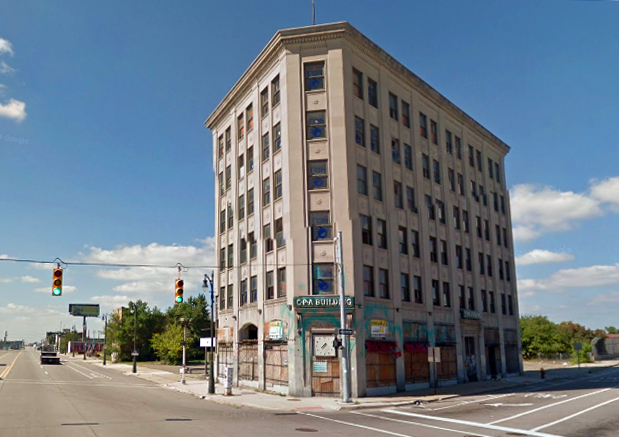 The 90-year-old CPA Building in Detroit, which has been vacant since at least 2009, has sold to a New York investment firm for $900,000, according to real estate broker Howard Schwartz. The six-story building along Michigan Avenue is considered a key piece to the continuing revitalization of Corktown. The sale includes the entire block of Michigan Avenue from 14th to 15th streets. It’s unclear what the new owner plans to do with the property. The 90-year-old CPA building is across the street from the abandoned Michigan Central Station and has been a popular target for graffiti vandals. I thought the price seemed high until reading the buyer scooped up the whole block. It may be necessary to create a secure compound for potential occupants until the area around it is settled. 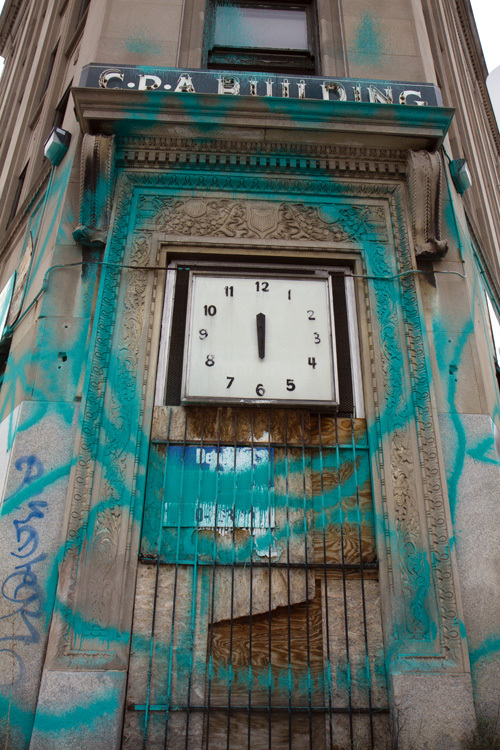 Normal people don’t want to live on point 24/7/365, fighting off graffiti jackals and worse, because it gets old fast. I think that within the next 50 years Detroit will finally be a place that people will consider a possible destination. It’s a interesting building. I hope they do something with it.